Alex (Sandy) Egan (The Meisner Technique) is an actor, director, and has been on the faculty of EMAS since 2006. He is a graduate of Occidental College where he received his bachelor's degree in Theater. 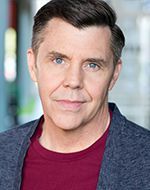 He completed an internship at New York's famed Circle Repertory Company and completed the two-year Meisner program with William Esper at the Willam Esper Studio. Sandy has appeared in many Los Angeles area productions at theaters including the Odyssey Theater Ensemble and South Coast Repertory. He was a member of The Groundlings Sunday Company and with Acme Comedy Company. He also received a Master's degree in Social Work from the University of Southern California.